Exporter of a wide range of products which include hv coil winding machine and high torque winding machine. 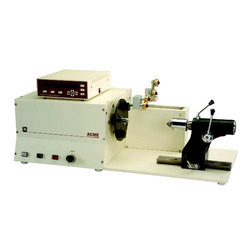 With more than 30 standard coil winding machines to offer, Acme has developed HV Coil Winding Machine specifically for distribution transformers and welding transformers. With programmable features and special accessories this AEH-11 winding machine can handle strip upto 10x3mm and wire upto 5guage. This high torque winding machine is well known for ease in operation and quick winding setup with all programmable features. To ensure quality and performance of this winding machine, our quality controllers test it against several predefined parameters. Tapping: upto 9 tapping can be programmed in each individual program. Since our establishment, we have become the famous manufacturer, exporter and supplier of High Torque Winding Machine. Rugged in design, this high torque machine is used for winding of coils in an efficient and proper manner. This winding machine is precisely engineered with the use of the best in class components that we sourced from the authentic vendors of the market and sophisticated technology. 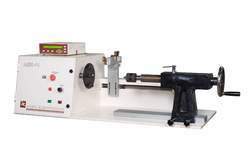 We offer this winding machine in different models and control mechanism at nominal prices. Looking for Torque Winding Machine ?